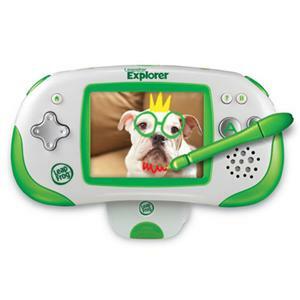 Turn the Leapster Explorer™ handheld into a digital camera and video recorder! 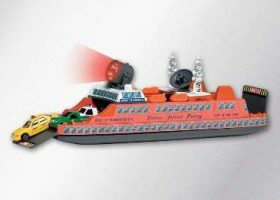 Kids can take pictures and personalize them and shoot movies for music videos. Eight activities encourage creative expression, explore emotions and help build skills with letters, numbers and shapes. • Take, store and edit up to 1,000 photos. • Stretch, stamp and draw on pictures to personalize them. • Create puzzles or use photos to tell a story. • Turn photos into characters to zap letters or numbers in fun activities. 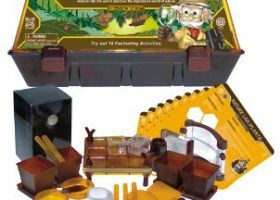 • Appropriate for children ages 4 to 9 years.